HE knew by her screen name--Mzdkalf. She knew him, by his handle--Chrlskem. They had never seen each other or heard the other. But from their first meeting on the Internet, they knew they were kindred souls. "I could relate to what she was saying about everything," says Charles Kemp, 50, a Mississippi author and retired army veteran who met his match through an on-line ad. "A lot of things she was saying were the same feelings I had. When I talked to her on the Internet that first time, I said, `I ain't letting her get away." Kemp and Alabama telecommunications worker Deborah K. Alford Kemp stayed on-line that night from 8 p.m. until 3 a.m. They disconnected for just a few moments to call each other on the phone. The pair swapped stories until Deborah's son went to school that morning. Two days later, Kemp came to visit. Two weeks later, they wed.
"We could not turn each other loose on the phone, on the computer in person," says Deborah, a 39-year-old who works for Bell South. "We began thinking, `How could we stay in each other's lives?' He said, `Do you wanna get married tonight?' I said, `No ... but I'm off Tuesday.' We were married that day in Alabama, just the two of us and the justice of the peace." While the speed of their courtship is rare, what's not is the way they met. On-line dating, with all its joys and dangers, has become the decade's hottest way for African-American singles to connect. From on-line personals to cyber-chat rooms and message boards, professional Brothers and Sisters are using the Interact to meet new people and find love. "Every year, more Black people are meeting on the Interact," says Diane Costa, founder, of Love NubianStyle.com, a matchmaking site for Black professionals that will debut Valentine's Day. "People are getting more and more comfortable with the idea of on-line dating. It's like television. When it first came out, some people said, `Girl, you need to get a TV,' while others said, `It's not going to last,' Well, TV is everywhere and Internet dating is too." Costa speaks from experience. While living in California, some friends encouraged her to place an on-line personal ad. She got plenty of responses though none caught her heart. But the model says the Internet helped her to find happiness another way. When she met a Detroit lawyer at a California housewarming, they stayed in touch over the next eight months through the computer. Today, they're married. "I guess you could say I fell in love with Dave over the Interact," she says. In 1998, African-Americans spent $1.3 billion on computer hardware, software and on-line services, according to Target Market News, a Chicago-based research firm that monitor African-American consumer habits. That's a 44 percent jump in computer-related spending from the previous year. There's no way of knowing how much of that sum went toward Internet dating services, but the popularity of sites such as Love@aol.com and Blacksingles.com, which soared from 3,000 page views or hits in its first month of operation to an average of 5 million hits each month, reveals a growing willingness of African-Americans to give computer love a try. 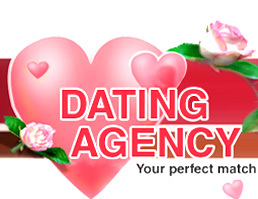 The success of Internet dating doesn't surprise Target Market News president Ken Smikle. "Traditionally, African-Americans are the ones who embrace new technology faster than anyone else, whether we're talking about the computer or cable TV," he says. "We are always looking for ourselves because we are not able to find ourselves in traditional media. If you have [those innovations], you can have virtually a 24-7 Black experience every day of the year." It's all about choices, says Smikle. The same thing applies to cyberdating. "It's a great way to meet," he says. "The traditional ways of meeting people are not disappearing; they are being enhanced and supplemented by what the Internet brings to relationships." The Internet is giving new flavor to romance. Instead of hooking up in nightclubs and gyms, Black singles also can meet interesting prospects without leaving home. On the Internet, the world becomes your meeting ground. You can connect through on-line personals or find your soul mate by chatting in topic rooms about the Harlem Renaissance or urban renewal. Some people even have first dates and begin to court--by sending their sweetie virtual flowers and electronic greeting cards--all before seeing his or her face. But despite the artificial environment, experts say what makes Internet dating work is its simulation of real life. "Our virtual community is no different from an upscale hotel lobby bar where well-dressed men and women come together to talk," says Barry Cooper, founder of BlackVoices.com, a web site with more than a half-million regular users. "In real life, some of those people hook up and some get married and live happily ever after. The same thing is happening on the 'Net." Cooper says 21 couples have found each other and wed since Black Voices was founded in 1995. Though providing dating help was not part of the site's initial mission, the founder says he will offer the service in 2000 in response to member demand. Michael Brown, founder of Blacksingles.com, says he is amazed by the spectacular growth of the site he started in May 1998. Already, Brown has 20,000 registered members who answer questionnaires and post profiles in search of their perfect mate. Still, despite its popularity among some African-Americans, other Blacks worry about the type of people they'll find on-line. When he encouraged a colleague, Dinah Morrison-James, to give it a try, the Georgia woman was skeptical. "He kept telling me, `Dinah, there are some interesting guys on the site--doctors, lawyers, engineers,'" she says. "I though it was a scary venture, so I kept saying, `No.' Finally, be convinced me to place an ad using a handle--Acirfa (an anagram of Africa). I put down that I like jazz, good food, fine music and thought-provoking conversation and waited." Morrison-James says she received about 12 responses from Black professionals--a writer, teacher, businessman and engineer among them. She says while you must use caution when meeting people on the Internet, fears about meeting pedophiles and stalkers are mostly unfounded. "You have to be careful," says the 41-year-old mother of two girls. "I wouldn't give out my identity or my phone number fight away. Take it slowly and chat with them for a while and get a sense of their personality and their true self." Morrison-James corresponded with Melanin Man, Toronto engineer Paul James, for three months before they met when he relocated to Atlanta in search of better job opportunities. Before that time. they had not spoken on the phone or even exchanged photos. In fact, Morrison-James canceled their first date at the advice of friends who worried for her safety. But when they finally met at an Atlanta bistro, the network administrator says she was smitten. "When we first met, there was this incredible realization that we're finally here," says Paul James, a 38-year-old England native and father of two boys. "We got over the awkwardness in about 20 minutes and were conversing as easily as we had on-line. After that first meeting, I soon realized that I wanted to see her again soon and this was something special." The couple moved to Stone Mountain, Ga., and married in September. Though not all people on-line are the marrying kind, most are a mix of people you encounter every day. "They tend to be the same people we see in our offices and in our social clubs," says Cooper. "Some are hard bodies; some are pleasingly plump. Some are handsome; some are not so handsome. When this all started, a lot of Blacks feared finding some maniac with an eye in the middle of his forehead. Although the Internet is not nirvana, we've found by and large that men and women on-line are nice people who only want to meet people of like interests." The demographics of the typical BlackVoices.com user are telling. Six of every 10 of Cooper's members are women. More than 80 percent attended college. They range between the ages of 25 to 55. "They are affluent and well-educated and it lot of them feel that a man who is on the Interact is at least moving in the right direction," he says. The caliber of the average African-American on-line user is just one reason for the popularity of Internet dating. Others become attracted to the 'Net because it offers such a wide selection of singles. "You can meet a lot people without wasting a whole lot of time," says Michael Brown. "How many times have you gone out with someone and sat across from each other and had nothing to talk about? The Internet is allowing people to be selective about whom they meet without obligation." Another benefit of on-line dating is its ability to lower inhibitions. There's freedom in anonymity. A person who is too shy to go up to someone in person can approach someone in a chat room with relative ease.